Jeans and sweaters are my fall uniform on weekends and when running around, however, for board meetings and places with a no-jeans policy I need a more polished outfit. I bought the Toteme top below in black and wear it with my favorite black trousers — it was a game changer. 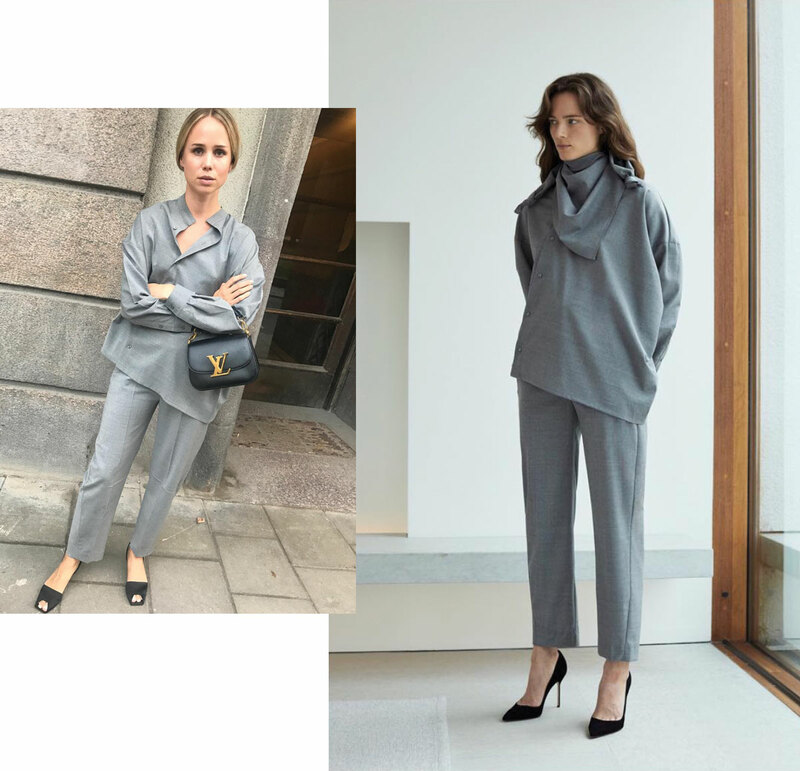 The Irié look above is more of a traditional suit, but the soft tailoring speaks to me. Love these pieces. All the polish of a suit but with the gorgeous draping of a dress. More and more people work in home offices or businesses in small towns with less formal settings. These outfits let you look professional, but are in keeping with the vibe of a less than” high powered” setting. Not to mention, they are infinitely adaptable with a change of accessories. The Irie suit is more my style, and I agree with April that changing accessories could take these pieces almost anywhere.